Alternative rock is, generally, one of those genres that remains fixed, sometimes formulaic, and mostly unwilling to budge from tradition. 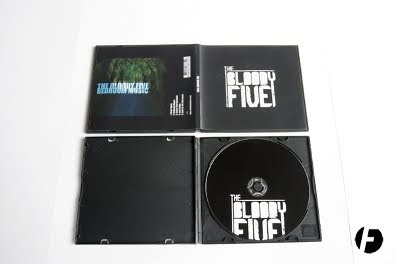 The Bloody Five seem to have thrown this conception out the window, existing in a realm where alternative rock can be both ethereal and psychedelic, melancholic and touching. Having only played together for around a year, The Bloody Five seem to have found their perfect respective musical matches, which is apparent in their cohesive, but ultimately unique style. As an aside, they manage to remain super elusive and mysterious by taking on stage personas; KD, Tomi Fear, Raw Beats Sedran, and... Chris Hau? Anyway, check out the teaser trailer for their new record, Bedroom Music, below for a taste of what I mean. 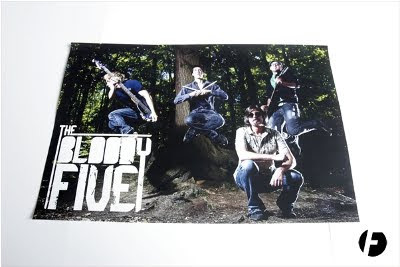 Check them out on at their official website, and why not add them on MySpace, too?